Aaron Pearson does not remember the bullet entering just below his left eye at 1:30 a.m. January 26, 2015. Breaking his jaw. Causing him to lose his eye. Lodging in his brain. Causing a traumatic brain injury. Leaving him lying in a pool of blood on the grass where fellow officers found him. Being rushed to Mercy Hospital in Springfield, with little hope of making it through the night. He was on duty, investigating suspicious activity behind a closed north side business, one week shy of his third anniversary with the Springfield Police Department. But his wife, Amanda, will never forget the moment the doorbell rang an hour and a half later. As police officers explained that her husband had been injured and she phoned for someone to stay with their two children, three-year-old Jackson awoke and entered the room. “The police didn’t scare him because both of his granddaddies and his daddy are officers, but I knew I couldn’t cry because then he would be scared,” she said. He was in an induced coma for a while. “I knew if he lived, our lives were going to be different,” she said. She was told that he would have weakness on his right side, which could impair his ability to walk. She was told that he would never talk again. 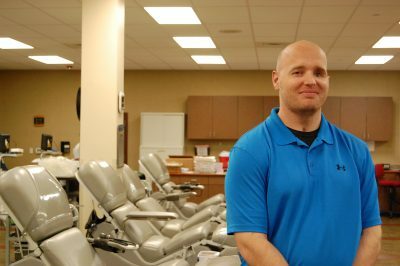 But as he grew stronger and tackled months of physical therapy, Aaron began reaching recovery milestones faster than expected. 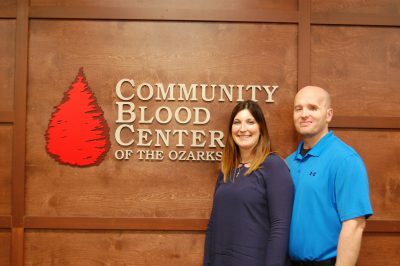 His excellent physical condition prior to his injury, along with his competitive nature and plenty of prayer from the community, are part of the reason for his progress, Amanda said. His health continues to improve, with a current challenge being processing words and getting the correct words to come out rather than words with a similar sound. Amanda has frequently been asked, “When was your moment? When did you realize everything was going to be okay?” That moment, she said, came 11 days after Aaron was shot. 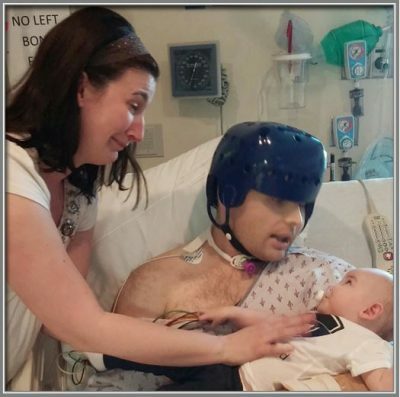 Their children were brought to the hospital to see him for the first time since he was injured. Amanda’s first thought was, “That’s not possible.” She went back into his room. Aaron motioned to her, propped a pillow under his arm, and positioned his arms just right. She placed Jovi in his arms. He spoke the six-month-old’s name and told her that he loved her.